Enchant little ones with ocean pals from the new By the Sea collection from Under the Nile. 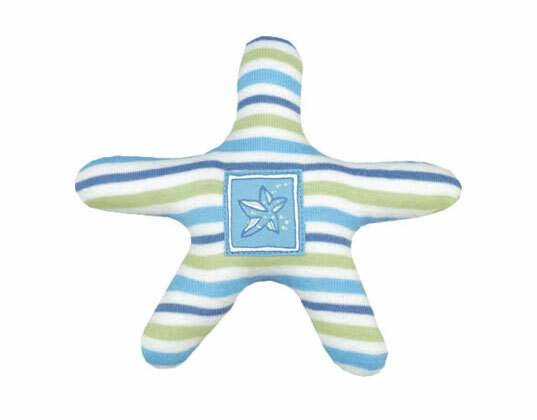 A colorful octopus, fun starfish and friendly seahorse will all soon become your little beachcomber’s favorite go-to pals — and as a green parent you can rest easy knowing these toys are made by eco-friendly company Under the Nile. The Organic Scraptopus, Organic Starfish and Organic Seahorse are all plump, soft, and adorable; made with 100% organic Egyptian cotton and child-safe dyes, which means your child can hug and chew on these creatures with zero worry about harmful pesticides and chemicals. Enchant little ones with ocean pals from the new By the Sea collection from Under the Nile. A colorful octopus, fun starfish and friendly seahorse will all soon become your little beachcomber's favorite go-to pals -- and as a green parent you can rest easy knowing these toys are made by eco-friendly company Under the Nile. The Organic Scraptopus, Organic Starfish and Organic Seahorse are all plump, soft, and adorable; made with 100% organic Egyptian cotton and child-safe dyes, which means your child can hug and chew on these creatures with zero worry about harmful pesticides and chemicals.